Krsyztof Kieslowski, the legend behind such masterpieces as Three Colors Trilogy and Dekalog, made a beautiful film between those two masterpieces, this was the middle portion in the sandwhich. It came in 1991, and it is one of the most elegant and beautiful films I've ever seen. I just saw this for the third time, and this viewing really helped me to love the film more and more. What I want you to do is to get an idea of the plot which is, Two young women lead totally separate lives in France and in Poland, one called Veronique and one called Weronika. They have no blood relation and they and their families have never met, but they are physically identical to one another, and strangely aware of each other's presence. Despite their different backgrounds, the two share the same likes and foibles, and above all both of them have a magnificent sublime voice and an extraordinary musical talent. Unfortunately each girl suffers from the same, barely detectable, cardiac malformation. They also share the same wisdom, inspiring one to unconsciously avoid making the same mistakes in life as the other. 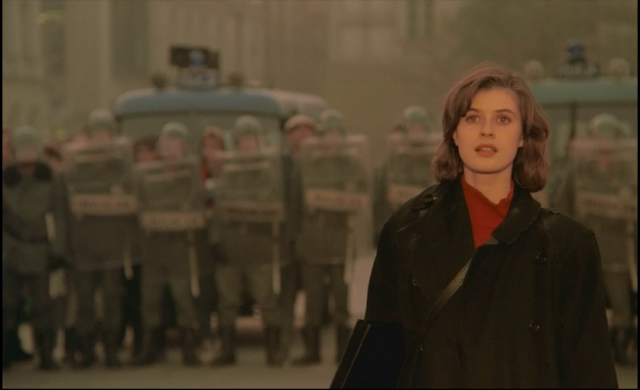 This film is different than any other Kieslowski film like all of them are in a way. but what Kieslowski does in this film, he showcases his best venture, in my opinion as a director, he captures the film so well, I could barely imagine someone else directing it, It is extremely gorgeous, each frame of the film is joy to look at. Irene Jacob, the film somehow rests on her shoulder as she plays two different girls, and the film is all about her. She gives her best career best performance and yes even better then Three Colors: Red. I just completely loved her performance, she portrayed both characters the best she could. I am ashamed that I didn't include this is my top 10 films of the 1990's. Kieslowski was a true master, he dominated the 80's and the upper half of the 90's. as far as my love for the film goes, this might be the best film of his after Dekalog, and if you count Dekalog as a T.V series, go check Sight & Sound, they take that as film so do I. This like a mesmerizing poetic work composed in an eerie minor key, it is a film about subjectivity, it is an epic fantasy film, It just engages the viewer of the film, everything in film seems perfect, there is not a dull moment in the film. The music of the film is beautiful as well. 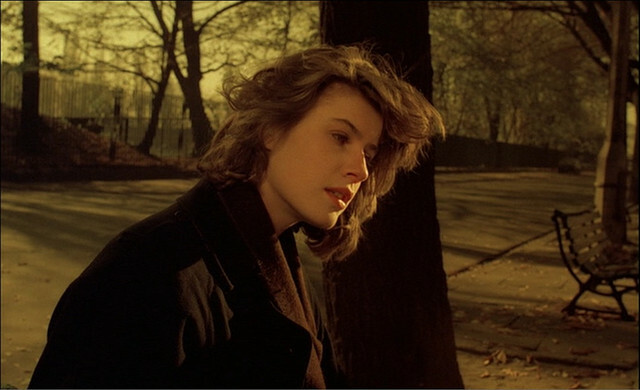 This is an underrated masterpiece, and his best film after Dekalog atleast for me, Three Colors is brilliant but this is really something unique and extra-ordinary. This is one of the very best women-centred films ever made. If you haven't seen The Double Life Of Veronique, you are missing some of the best cinema crafted of 1990's.